This book presents insights into the current state of higher education, emerging pedagogies and innovative technology-driven learning techniques in research and teaching. 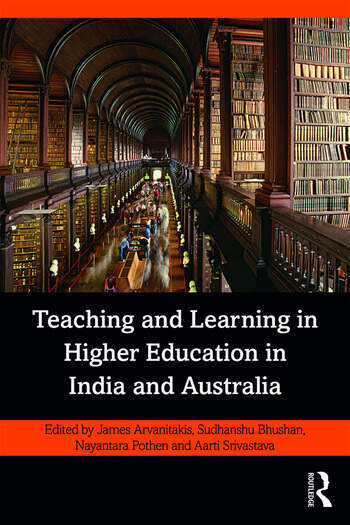 Focussing specifically on the higher education models in India and Australia, the volume explores concerns and policy interventions which will help promote research capability and culture. Globalisation, rise of information technology, and the massification of education has shifted the foundations of higher education and universities in the world. This volume examines the best support structures which will allow educators to face the challenge of the increasingly diverse community of learners and teachers entering higher education; their varied levels of aspirations and expectations; the influence of technology in pedagogical practices; and the shrinking funds for teaching and research. By using case studies from India and Australia the book also looks at the benefits of cross-cultural collaborations in research and education. Comprehensive and resourceful, this volume will be useful for academics and scholars of education, higher education and research, sociology, public policy, development studies and for NGOs and think tanks working in these areas. Sudhanshu Bhushan is Professor, National Institute of Educational Planning and Administration (NIEPA), New Delhi. Nayantara Pothen is Senior Strategy and Projects Officer, Western Sydney University, Sydney. Aarti Srivastava is Assistant Professor, National Institute of Educational Planning and Administration (NIEPA), New Delhi.